Pinterest is pretty simple in its own right when it comes to functionality. Pinning is something many users are becoming accustomed to as natural everyday social interaction. That’s why tools or browser add-ons which make pinning quicker or easier are in such high demand. Easypinner for Pinterest is a Firefox extension that makes pinning quicker. Easypinner scans each webpage you visit for pinnable images. If an image can be pinned, Easypinner adds a small Pinterest icon to the image which users can see by hovering the mouse pointer over an image. Hover your mouse pointer over an image. If the Pinterest icon appears, click it. Click the Pin It button to assign your pin to one of your Pinboards. A nice little feature of Easypinner is that it displays the number of times an image has been pinned. 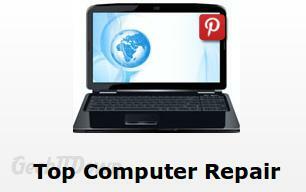 When a user clicks the Pinterest icon on an image, a Pin It button is displayed with pin count. Easypinner is easy to use and makes selecting specific images from a webpage full of them much more precise when pinning.